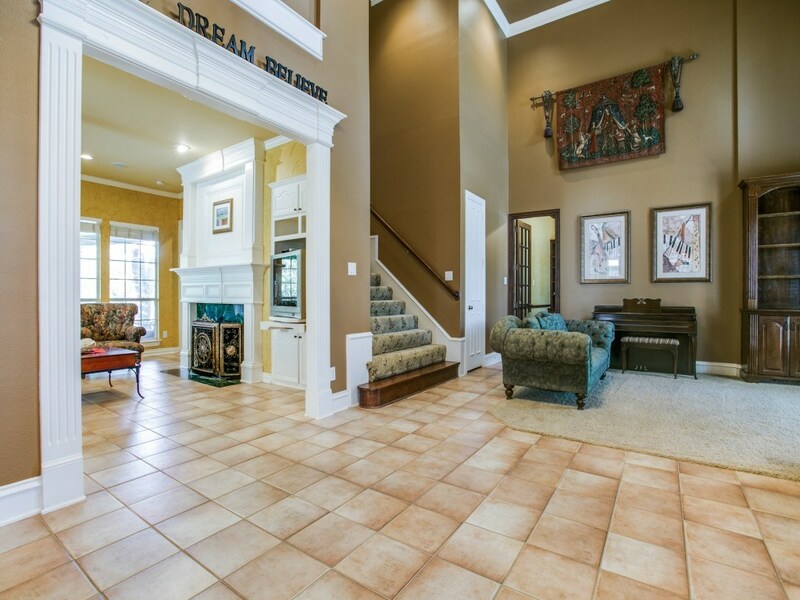 Allen Luxury Properties | Custom Sanders home in Twin Creeks. 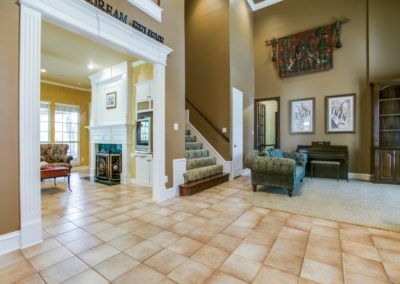 Open plan with soaring ceilings, double stair case, open chef’s kitchen with large island, walk-in pantry, kitchen desk, multiple living areas and custom tile on the first floor. Master suite down with walk-in-closet with extra storage. 5th bedroom down with full bath. 1st floor office with built-ins and hand scraped wood floors. 3 big bedrooms, game room up. 2014 roof. 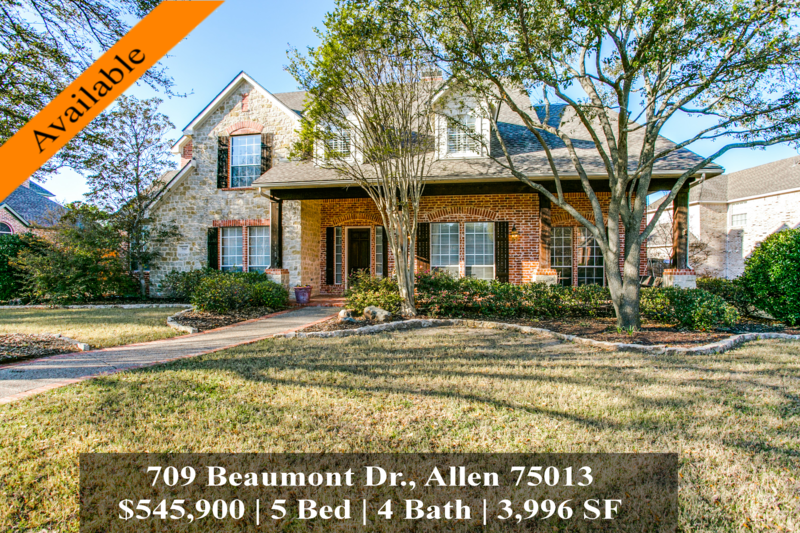 Outside, lovely cedar arbor, oversized patio, great for entertaining!